Where two or three are gathered in my name, there I am in their midst. Our vision at ASCEND is to build a community, both on-line and in person, of families and individuals dedicated to promoting a life in Christ through faith, family, and education. Raised in the power of the Holy Spirit’s sacramental presence, we prepare our families to be “lights onto the world” by our life rooted in Christ’s Love! 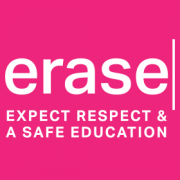 CISKD and the school program at ASCEND Online promotes an educational environment of safety, acceptance and respect for all students. Explore a safe and refreshing approach to learning. There is a wealth of options and resources to fit your family style and the uniqueness of each child. Our children are born to succeed and lead through example. Your home is the best place to build family bonds that last forever. We build relationships where siblings learn, work and grow together with parents mentoring and leading their children in faith and relationships. The family is truly where the heart of God resides.